Tweet Don’t you dare try to label Jen Kirkman. The 17 year comic veteran has a new comedy special called “I’m Gonna Die Alone: And I Feel Fine” that is tearing it up on Netflix. 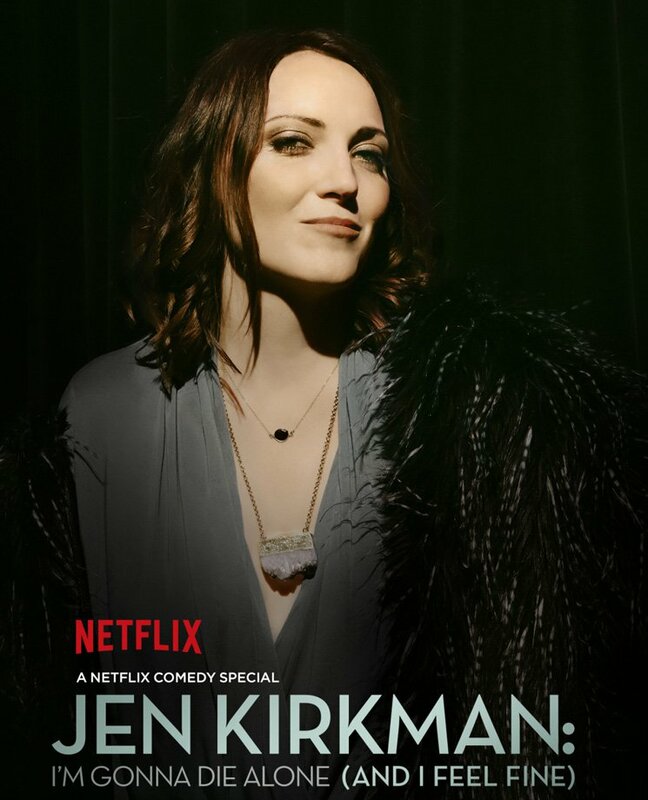 She’s also got a great podcast called “I Seem Fun: The Diary of Jen Kirkman.” I got the chance to catch her live at The Mill in Iowa City where she did not disappoint. I had never been to The Mill before. I’m not sure how you would describe it, was it a rock club, a restaurant…both? I don’t know but it was a great little place to see a comedy show. The show was sold out. The doors opened at 7, the show was suppose to start at 8 but it took so long for everybody to get in that the show started fifteen minutes late. It was a great crowd and a great time. How do you review a comedy show? Everybody has their own brand of humor. 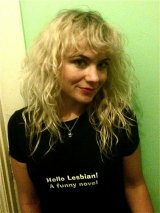 I happen to love Jen Kirkman’s, maybe you do, maybe you don’t. The audience at The Mill loved every minute of Jen Kirkman’s set. She is always one step ahead of the audience. At one point during the show she asked a guy in the audience if he wanted a strong woman. He replied that he did and she went on to deconstruct the label strong woman. She’s a proud feminist (I would like to think I am), but just when you think she’s gonna go into a male defined stereotypical feminist rant she takes a left turn and knocks you out with a great joke about an old man complimenting her on her shoes or wants to know why you don't want to have a baby with her even though she doesn't want kids. 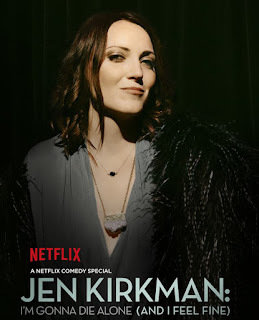 Jen Kirkman is unapologetically Jen Kirkman and that’s what I love about her and her comedy. My favorite part of the show was how raw it was. The Netflix special was very polished. She had worked that material out over the years until it was perfect. I loved the special and it would have played great at The Mill but I loved the unpredictability of the show I saw. She’s a rock star on stage who could do no wrong. She sprinkled in a couple of bits from the Netflix special through out the show but took them in different directions. She’s most likely going to be touring for the rest of her life…she’s been doing it for 17 years I don’t see her stopping any time soon. If you have the chance to check her out I highly encourage you to do so. I’m consider making a trip to go see her again in September. If you haven’t seen her Netflix you should do that right away too.